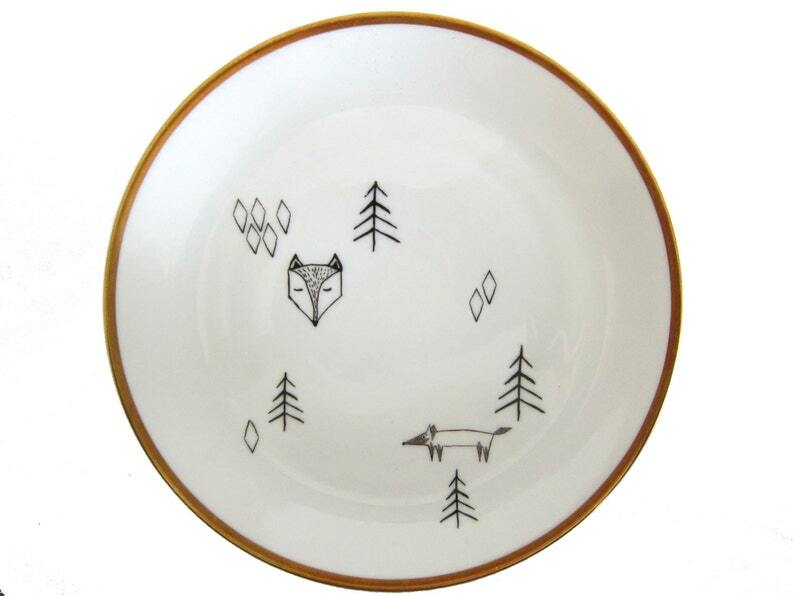 Plenty cool porcelain stickers for fox and forest lovers. Use them on ceramics and glass. The dishes will be washable but please do not use on surfaces that will have to resist a lot of scratching such as the centre of a plate (with knives...). Size: please look at photo with overview of all the motives that are included. these are so unique and neat, can't wait to use them. fast shipping and good communication too! Vielen Dank für die schönen Porzellansticker. Die Tierchen werden mich mit viel Freude im Kaffee Alltag begleiten. Please pay with Paypal or credit card immediately after your purchase. If your package arrives damaged or you are in any way unhappy with your purchase, please let me know as soon as possible and I will try my best to make it right. To exercise the right of withdrawal, you must inform us (nuukk, Reichenberger Straße 88 - 10999 Berlin - Germany, E-Mail mail to hallo[!at]nuukk.com) of your decision to withdraw from this contract by an unequivocal statement (e.g. a letter sent by post or e-mail). You may use the attached model withdrawal form, but it is not obligatory. The right of withdrawal expires prematurely in case of contracts regarding the supply of sealed audio or sealed video recordings or sealed computer software when they are unsealed after delivery. I ship via Deutsche Post. I will mail your package within 2-5 business days after receiving your payment. I will always ship to the address you provide to Etsy not your Paypal address. I will combine orders so you can save on shipping! If you prefer, I can also send your order insured. Please contact me beforehand about this. If you chose an uninsured delivery, please be aware that I won't take any responsibility for items that get lost. I am very keen on a safe arrival but please be aware that sometimes parcels get lost and choose the more expensive version if you want to make 100% sure your items won't. Thank you.